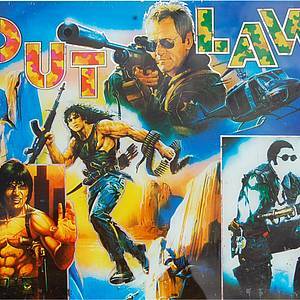 Out Law is a pinball machine from 1986, manufactured by Hanilamatic. Sorry, but we don't seem to have any information about the design team of this machine. This machine has not received any ratings yet. You could be the first to rate it! A game needs 15 ratings to get a rating so wy not go and add your rating? 1 Pinsider has this game in the collection. Nobody has this game on their wishlist. no public locations known where you can play this machine.